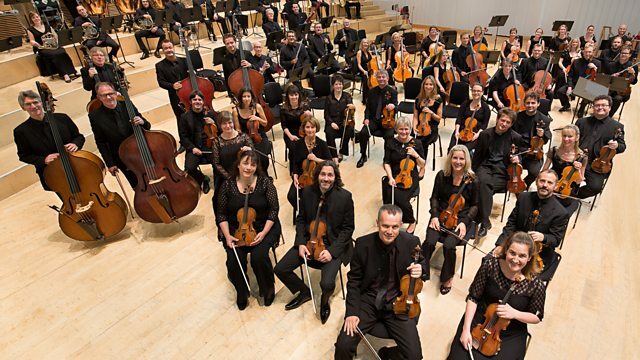 Ilan Volkov and the BBC Scottish Symphony Orchestra in The Sorcerer's Apprentice, Unsuk Chin's Clarinet Concerto and Koechlin's Seven Stars Symphony, inspired by Hollywood glamour. Ilan Volkov and the BBC SSO perform The Sorcerer's Apprentice, Unsuk Chin's Clarinet Concerto and a rarely heard work inspired by Hollywood glamour: Koechlin's Seven Stars Symphony. Evocative musical colours from City Halls, Glasgow. Ilan Volkov conducts Dukas' tone-poem, The Sorcerer's Apprentice; a work of such skilful orchestral imagination its storytelling went on to inspire the eponymous short film, staring Mickey Mouse. Spellbinding colours are also at the centre of Unsuk Chin's recent Clarinet Concerto, performed this evening by the work's dedicatee: Finnish clarinet virtuoso Kari Kriikku. And the BBC Scottish Symphony Orchestra conclude by presenting a rarely heard, but very intriguing, 20th century French work, dedicated to the golden age of Hollywood glamour. Koechlin's Seven Stars Symphony (the stars in question including Greta Garbo and Douglas Fairbanks) depicts these heroes and heroines of cinema in swooping and melodic orchestral music, vividly coloured with Harpsichord, Saxophones and Ondes Martenot. Discover the music of five forgotten women composers, performed in a special IWD concert. Music by Malcolm Arnold, Edward Elgar and Herbert Howells.